Additional Trade Allowance. Bring in this coupon for an additional $500 Additional Trade Allowance. towards your trade-in vehicle. Bring in this forJanuary an Allowance. additional $500 Offer validcoupon through 31, 2018 Additional Trade towards your trade-in vehicle. 10% OFF 10% OFF Any Service 10% OFF Any Service Cannot be combined with any other offers. Offer valid through January 31, 2018. Cannot be combined with any other offers. Offerbe valid throughwith January 31, 2018. Cannot combined any other offers. Offer valid through January 31, 2018. Happy New Year! With each passing year we face change – various forms manifest over time, but nonetheless, it happens. Over the years, we have seen significant changes within our community: new development, new businesses, loss of favorite businesses and even people. This year, we welcome positive change and hope you do as well. In the past, our January issue featured a business directory, but this year we have modified our content to better serve you. Since technology advances enable us to conduct a prompt query by asking Siri for addresses, phone numbers and websites, we felt this year instead of the directory we would share valuable information on some of our local businesses. We have included stories in this issue on a few businesses: veteran, new, and some have who have left our community. Additionally, our content this month provides resources for nonprofit organizations and general tips if you own or are thinking about starting a small business. Let’s keep the 2018 celebrations going by recognizing the strength and diversity of the businesses our county offers. For some local entrepreneurs, 2017 provided milestone celebrations, which we would like to share. Congratulations to... Biotrek Adventure Travels – 25 years in business Fabric Emporium – 22 years in business (they will certainly be missed - enjoy retirement!) First Baptist Church – 150 years of worship in our town Framecraft – 10 years in business Piedmont Press & Graphics – 30 years in business We realize there are many more local organizations that may have celebrated anniversaries this past year, so if you know who they are, please let us know by emailing us or sharing the information on Facebook (make sure you tag us). We want to celebrate along with all of you who contribute to the economic vitality of our region on a daily basis. Thank you readers, for allowing us to serve you by providing enjoyable content each month. I wish everyone a safe, healthy and happy 2018. H appy N ew y ear ! Charles Rose is a seasoned property expert. His diverse background and relaxed approach make for easy conversation, whether you’re interested in home-buying, selling or commercial property. Talk to Charlie today. 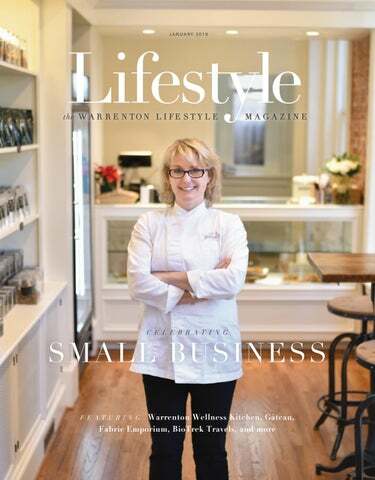 On this month’s cover, Lora Gookin from Gâteau Bakery Cafe & Tea Room. Photo by Kara Thorpe. This year with all the amazing support, we were able to donate 706 holiday treat containers to Walter Reed! contributed to make this possible. Plus F4F attended the MM Pierce Elementary School PTO meeting in December and kept the children busy with crafts and Christmas Slime! We also dropped off a large number of painted rocks on December 6 for our community garden at the WARF. A special thank you to the following for their support with our December projects: Earth, Glaze and Fire, Handyman Cans, Peak Roofing, Puroclean, Gainesville Pediatric Dentistry, Girl Scout Troop 1908, Anita SadlackState Farm, Jane S., Amy W., Amanda Y., and Edward JonesFinancial Advisor Matthew Fusaro. Our community is full of amazing, giving families. We look forward to offering more fun-filled, family events in 2018. Take a look at what is coming up. Jog 5K/1 Mile Just Cause F4F Beneficiary Registrations at 8 a.m. Location: Vint Hill Community Center Families4Fauquier will receive 100 percent of your registration fee for those that registered under Families4Fauquier as your nonprofit of choice. Come out and celebrate 2018 and support our organization while you are having fun. FEBRUARY 10 Painted Rocks Club at 10 a.m. Location: Northern Fauquier Community Park This event is hosted by Northern Fauquier Community Park and the theme is "Keeping Fauquier Beautiful.â&#x20AC;? All rocks and supplies provide. Just bring your smile and join us for some fun. Keep updated on all of our activities and events by visiting our Facebook events page. Just Listed!! â&#x20AC;&#x153;Belle Haven Farmâ&#x20AC;? Conveniently located at the corner of I-66 and Ramey Road in Marshall. Beautifully situated on roughly 50 acres. This property includes three rental houses. The main house features four bedrooms, a formal dining room and living room, large home office, first floor master, spacious laundry area, huge family room and two separate apartments and a finished basement. All showings must be scheduled and approved online, prior to showing. Opposite page (clockwise from top, left): Argentina, Tanzania, Morocco, Galapagos, Chile, Guatemala. Above (background): India. Above: Reynolds at her Main Street studio. Photo by Kara Thorpe. Sunny’s photography experience and talent is on display in her two published books as well on as her website (sunnyreynoldsphotography.com). The Random House publication Hardie Newton’s Celebration of Flowers, features exclusive photography from Sunny. Additionally, she published her own book Boats, in 2002.
artwork. “We were successful right away,” she says of their sold-out shows. The gallery even sponsored international artists who came to showcase their work. “Although it was successful, it became too much to maintain the gallery and corporate photography,” Sunny explains. When her partner moved on, Sunny relocated to 81 Main Street: “I quit the ad agency and gallery to start a travel company.” Sunny returned to Costa Rica and met with in-country ground operators. “At first, I did it all on my own. I remember personally renting a passenger van and driving people around the country,” she says. Those early trips were full of adventure. “We always had a flat tire, it was just something we could count on because of the quality of the roads. I made a game of it and would see how fast we could change the tire,” she says of making the most out of the situation. “One time, after a flat, in Monteverde, we ended up catching a ride with the local coffee pickers back to town. It’s a memory that will last forever for the guests on the trip,” she reminisces. It was Sunny’s friends and family who embarked on those first trips. “I called that group the ‘Dream Team’; they have travelled to many countries with me over the years,” she reminisces. Twenty-five years later, Sunny is still the Above, left: Galapagos. Above, right: Cuba. It is recommended to book trips six months to one year out. Scheduled payments are available. For information on upcoming expeditions visit biotrekadventuretravels.com or call 540-349-0040. 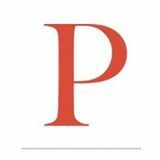 About the AUTHOR Aimée O’Grady is a freelance writer who enjoys transforming stories told by Fauquier residents into articles for Lifestyle readers. She learns more and more about our rich county with every interview she conducts. Thinking About the Future We get so caught up with day-to-day living that we often do not think about the future until it’s too late to do anything about it. Do not waitdo some estate planning, sign your will, prepare a trust, provide for your spouse and children. At Morrison, Ross and Whelan, we can help guide you through the complexities of estate and trust creation and administration, set up guardianships and help in probate litigation. We are committed to providing knowledgeable, caring and personal counsel – whether you are handling the unexpected or planning for the future – your family deserves the best. professional, compassionate I still believe the personal approach is necessary to distinguish small businesses in the cyber world.” based services. Depending on your business, you may want to invest in an attractive revenuedriven website. Presence on social media has become equally important. But if you don’t have time for posting new content on Facebook, Twitter, etc., you can outsource this chore for a monthly fee. To keep up with the speed of online sales and information, you also need the fastest provider and desktops, laptops, or tablets available. I was recently excited to learn Comcast is now delivering Gigabit speed in Fauquier. Fast internet will make remote logins into your office from the road or at home much more enjoyable. Also consider a Voice Over IP (VOIP) telephone system. It uses your internet to make and receive phone calls and can be arranged to handle multiple simultaneous calls through just one official phone number. You can even forward calls to your cell phone and make calls from your private cell phone without revealing your personal mobile number. Despite all of these technology opportunities, I still believe the personal approach is necessary to distinguish small businesses in the cyber world. Get a Great Start on the New Year! Group X Classes Unlimited Tanning FREE Playroom FREE To Join! Left: Wild-Caught Salmon on Orzo Pasta Salad with Spinach and Caramelized Onions (photo by Caitlin Scott of Great Scott Photography). Left, Center: Tomato, white bean, kale, and sausage stew. Left, Bottom: Chicken vegetable soup and turkey ginger meatballs. COOKING CLASSES AND CAMPS A variety of monthly adult cooking classes and teen summer camps are available. For more information visit the website or stop in Warrenton Wellness Kitchen for an information sheet. provides financial protection for your business in the event of claims, lawsuits or settlements. These may arise as the result of injuries or property damage connected with your business pursuits, or even non-physical acts like slander or libel. General liability is a vital component of business insurance. The person you select needs to be available to assist you, protect your assets, understand what is available for your industry, and educate you on what is really necessary coverage to have in case a situation arises. OPT FOR EXCELLENT CUSTOMER SERVICE. protects the insured (the business owner) in the event it fails to administer 401k, health insurance or any other employee benefit in a manner that causes a loss to the employee. UMBRELLA POLICY is additional liability coverage over all other insurance policies your organization may carry. This is good to have as your business grows and engages in larger projects. SELECTING AN AGENT CHOSE SOMEONE WITH A HIGH LEVEL OF EXPERIENCE. An agent with experience will have the knowledge base to guide you on what you actually need to cover against loss. Sierra Ball is the owner of Siquin Insurance Services located at 32 Waterloo Street #207. She has 20 years of insurance experience and has owned and operated her insurance business since April of 2016. She is an independent insurance agent specializing in small businesses. For more information regarding Siquin Insurance Services, please call (540-349-6775) or email (sierra@siquininsurance.com). Expanded Veterinary Team. Latest Technology and Procedures. Unmatched Lower Rates. The Veterinary Referral Center of Northern Virginia added a board-certified surgeon, a boardcertified emergency and critical care specialist, and two emergency veterinarians to better serve you. Our highly qualified team: ■ Provides unparalleled, leading-edge walk-in emergency and referred internal medicine, surgery, and behavior medicine services ■ Utilizes the latest proven technology and procedures ■ Consistently provides compassionate care to our patients ■ Understands the needs of our clients You receive exceptional veterinary services at rates that are significantly lower than other referral centers throughout Northern Virginia making specialized care for your pets affordable. Contact us at 703.361.8287 for an exceptional experience for you and your beloved dogs and cats. advertisements much more than twice a year, she relied mainly on word-of-mouth referrals. She also relied on attracting visitors to her retail location. One of her methods was utilizing her storefront windows. “The window displays were very important as they showed people who we were, before customers came into the store. It showed our style, products, and colors. The windows drew people into our business,” Maria shared. She did add that a combination of products and services periodically changed in the window displays definitely helped draw the attention of potential customers. You can’t miss us. We’re the bright green railroad house nestled in the heart of You can’t miss us. We’re the bright green railroad housewith nestled in theand heart historic The Plains, Virginia. Our dining room is filled laughter theof historic The Plains, Our dining room on is filled withThere laughter the irresistible aroma of Virginia. something special sizzling the grill. areand typically irresistible aroma something on the grill. several happy folksofsitting on ourspecial front sizzling porch, enjoying a fineThere meal are andtypically a cocktail several happy folksinsitting on our frontpace porch, enjoying a finecountry meal and a cocktail or two and taking the slow, relaxing of our charming town. or two and taking in the slow, relaxing pace of our charming country town. instilled a strong work ethic in Maria which have impacted her, even now. “My grandmother’s hard work especially stands out to me. She persevered; she wouldn’t give up. I wouldn’t be who I am today without her,” shared Maria. Twenty-two years after opening, Maria and Joe have now retired. As of midDecember, Fabric Emporium has permanently closed its doors. “Joe’s been ready [for retirement] for several years now. We have never taken the time to explore and just do things. Nothing in life is a guarantee, and while we are still able – now is the time to travel. Come visit us one day soon and find out for Come why...life visit us one day soon and on findthe out for yourself is always better porch. Life is always on the yourself why...life isbetter always better on theporch. porch. TECHNICAL ASSISTANCE: Organizations may access PATH Resource Center staff via email, phone or in-person. LENDING LIBRARY: The Center offers a library, specifically with a nonprofit focus, for organizations to utilize. FOUNDATION CENTER: A database of over 4 million grants worldwide is available for organizations to use for free during operating hours. GRANTS COACH: Organizations may have access to a volunteer grant coach to assist with identifying and completing grant applications. WORKSHOPS: Monthly workshops on topics such as governance, philanthropy, marketing, finance, human resources, volunteer management, and strategy. Upcoming events can be found here: pathforyou.org/ resource-center/. ADVANCED TRAININGS: These trainings provide an opportunity for in-depth learning about a particular topic. In 2018, these include Board Academy in March and April and a Philanthropy Academy later in the year. PATHWAY TO A HEALTHY ORGANIZATION: Nonprofits engage in a self-assessment instrument that helps identify strengths and challenges and establish capacity building goals. ONSITE TRAINING: PATH Resource Center staff can come to your organization for onsite training to your board or staff. provide clarity and guidance to move toward the objective. EXECUTIVE LEADERSHIP CIRCLES: Once a month, facilitated circles provide peer to peer executive support and an opportunity to discuss current problems with local experience in a confidential setting. POWER OF PARTNERSHIP (POP) TALKS: 90-minute meetings covering a topic with an opportunity to network with other organizations. space any new information that needs to be sent to the nonprofit community. MEETING SPACE: The PATH Resource Center has a meeting room with seating for eight, it also offers a screen and internet capability for web conferencing. The PATH Foundationâ&#x20AC;&#x2122;s conference room can hold up to 20 in a board meeting configuration. In 2018, the PATH Foundation and PATH Resource Center will be moving new space on Walker Drive in Warrenton. This new facility will have meeting space for up to 100 people. Thank you for a terrific 2017; 50 transactions and +$20 million in Sales. I am looking forward to another great year for my clients in 2018. My goal is to place a SOLD sign in your front yard and/or help you find the home of your dreams. All information provided in this advertisement is deemed reliable but is not guaranteed and should be verified by interested parties. his month’s publication focuses on our small local businesses – how they benefit the community, how they may be successful, and how they are ingrained into our daily lives and the town itself. To answer some business-related questions which may be helpful, I turned to Joe Martin, President of the Fauquier Chamber of Commerce, who shared his five tips for local business owners. THE CHAMBER HELPS BUSINESSES BY: • Connecting business to the key companies, departments and individuals that are essential to growth. • Offering multiple chamber events throughout the month, plus five major events each year: Valor Awards, Annual Meeting and Awards Gala, Old Town Warrenton Spring Festival, Taste of Fauquier, and Fauquier Fall Festivities – a series of events in September and October focused on economic and workforce development. • Legislative events to bring members information on legislative issue businesses face today. • Women’s Business and Young Professionals Councils. Happy New year & Thank You to our customers for your business Mention this ad and get $150.00 OFF a new Water Treatment System & $75.00 off any water Heater Replacement. FOR MORE INFORMATION ON BECOMING A MEMBER OR FOR MORE DETAILED INFORMATION ABOUT SERVICES AVAILABLE TO EXISTING MEMBERS, CONTACT JOE MARTIN AT FAUQUIER CHAMBER VIA EMAIL JOE@FAUQUIERCHAMBER.ORG. Or see in store for details. Put Your Plan in Motion Let’s start a conversation! initially utilize the space they had for her newly formed business. After years of working in her home commercial space, Gookin knew it was time to make some changes. Around 2014, she hired help; prior to that she completed all her own work. One and a half years later, she hired more employees and still kept growing. For her, it became difficult to work and grow her business out of her existing space. About two years ago, Gookin was out for a walk on the Greenway with a friend and said, “Know what? I’m going to find a building.” And she did. After looking at the space at 12 Culpeper Street, as well as other potential sites, she felt the Culpeper Street offered an ideal location for her business, and it was large enough to accommodate her vision. “No building plans were on record for the property, so I took some measurements and sketched up some ideas,” explained Gookin. After her initial thoughts were solidified and incorporated into her sketch she reached out to David Norden, a local architect, to finesse her ideas. “He took my rendering and recommended some changes: a big one was to utilize the second floor of the building as the commercial kitchen. I had not thought that would have been a possibility,” Gookin shared. Once the architect made recommendations to create a more functional floorplan, she moved forward with 10 months of renovations to the interior and exterior of the building. The incredible transformation has now been completed. The building, which offered boxed-in rooms and a dark interior when Gookin purchased it now showcases a space with high ceilings, refinished original floors, large windows, and exposed brick walls. The interior space offers a charming atmosphere with a rustic elegance. Crystal chandeliers were hung which now provides a shimmering light – similar to glitter – during the early morning hours. DA I LY OFFERINGS: • Custom, noncustom, and bakery cakes • Cupcakes • Cookies • Scones • Crêpes • Soups • Sandwiches • Salads • Breakfast sandwiches • Quiche OFFICIAL GRAND OPENING C E L E B R AT I O N : January 27, 2018 HOURS OF O P E R AT I O N (Beginning January 27) Monday through Saturday 9 am until 4 pm NOTE: Gâteau is open now but hours of operation will vary until the grand opening celebration. Follow them on social media or visit the website (1gateau.com) for more information. We can also pick up your other outdoor power equipment on the same trip! (walk behind, push mower, trimmer, blower, etc.) Get your tune-up done now before the long waits that come in the spring and save! Local area only. Oﬀ er expires Oﬀer expires 2/28/17. 2/28/18. Simplified Employee Pension Plan (the IRS loves acronyms) – allows an employer to make tax deductible contributions directly to an IRA in the name of the employee. For 2017, the contribution limits are 25 percent of the employee’s compensation, or $54,000. These types of plans are often used by solo business owners such as real estate agents and consultants. The business owner and the employee are one and the same, but the SEP IRA structure allows for a much larger contribution to an IRA, while providing a significant tax deduction. mall business owners have many challenges, and for them prioritizing what to address and when is probably the most difficult part. Many owners wear several different hats, but all too often the hat of “retirement plan administrator” goes unworn. It shouldn’t. Just because you are a small business does not mean there aren’t options for offering a retirement plan to both yourself and your employees (if you have any). Contributing to an IRA (Individual Retirement Account) on your own each year is certainly a good idea, but the current limit of $5,500 per year (for those under age 50) is probably not enough to satisfy a longterm retirement plan. The IRS provides several options for the small or solo business owner, but the two most popular and straightforward are the SEP IRA and the SIMPLE IRA. Both have much higher contribution limits than an IRA and have tax advantages. Most importantly, both have little to no startup or ongoing costs and are simple (no pun intended!) to set up. About the AUTHOR Nathan Gilbert is an Investment Advisor and Managing Partner with Meridian Financial Partners in Warrenton, Virginia. Meridian is an independent, fee-only investment advisory firm providing financial planning and investment management. Mr. Gilbert was born and raised in the area and currently resides in Haymarket with his wife and three children. Continental and General brand tires only. 6 and 12 month promotional financing available. APPLY TODAY! Ring in the New Year with a New Beginning! Let the Law Office of Marie Washington help you start your new business. hen you’re a regular at Siggi’s Men’s Grooming Place, you know to expect not just a great haircut but also a warm greeting from bubbly shop owner Siggi Jamison and her team. “We’re just huggy people,” she says, laughing, of her crew of three barber-stylists, a nail technician, and a masseuse. “People always come in and ask, ‘Where’s my hug?’” Siggi’s Men’s Grooming Place has earned a solid reputation for its friendly staff and outstanding service. And in her new shop in Warrenton Plaza, Siggi has worked hard to create an appealing gathering place with guy-friendly décor, a coffee bar, and clever personal touches like barber stations fashioned from tool chests. “We have guys come in and sit and shoot the breeze with us,” she says, “and it’s fabulous. I just love it. Siggi’s Men’s Grooming Place offers haircuts, straight razor shaves, massage therapy, hand and foot care, and even facials. “Siggi’s is about the people who come in here, giving them a place to relax,” she says. “There are so many pampering services for women. I used to wonder, why is there not something here in our cozy little town of Warrenton? I wanted to create a place for men to be pampered.” “I want for my guys to feel like: ‘I just had an hour of vacation. This was one hour of my time where I forgot work, where I forgot responsibilities, where I got to relax.’” Siggi began studying cosmetology in 1980. “We had to study for three years, which is 6,000 hours,” she remembers. Siggi worked for some time in Germany, then came to the United States in 1988 with her Above: Siggi’s new location in the Warrenton Plaza features guy-friendly décor and clever personal touches like barber stations fashioned from tool chests. Special Exhibition Opens Saturday, January 20 Reception with the Kevin H. Adams 4-7p Shenandoah National Park Artist in Residence Kevin H. Adams unveils the paintings he began on location during his residency in Summer 2017. Kevin will present one of the paintings to the Superintendent of Shenandoah National Park for the Park’s permanent collection. Beverages and refreshments will be served during the reception. Please join us on Saturday, January 20 from 4-7pm! The Gallery will donate 20% of the sales price to the Shenandoah National Park Trust for all of Kevin’s paintings sold on January 20. The Gallery will be open from 10a-7p on the 20th. Katie Fuster lives in Warrenton with her husband, children, and rescue dogs. The Best Mexican Food Specialties You’ve Ever Tasted! 4 Hard or 3 Soft Shell Meat or Bean Tacos with 16oz. Fountain Drink $5.39 Offer Good With This Coupon Through 01/31/18. Limit One Coupon Per Customer or Family. Not Good With Any Other Coupon or Offers. $1 Off Breakfast Burrito of your choice Offer Good With This Coupon Through 01/31/18. Limit One Coupon Per Customer or Family. Not Good With Any Other Coupon or Offers. Personal care when and where you need it. Extraordinary people. Extraordinary care. Hourly or overnight service and much more! Serving Fauquier County and other surroundings counties. f you own a small business or are starting a small business, you need to spend some time thinking about the finances and know what you need from your bank. Interview banks to make sure your specific needs will be met appropriately and consider not only accounts, but services and lending options as well. Here are some general tips business owners may find helpful. determine what the financial institution’s business deposit account offers and what the cost of those accounts will be. Many banks offer free checking to small business – without requiring a minimum balance. Banks also offer several optional business services which may assist a company with efficiency. Research how business friendly the financial institution is. Are there online banking options available? Are there options such as business bill pay or ACH (Automated Clearing House) available? Understand how deposits are made. Remote deposit systems allow owners to make deposits without having to go to the bank which allows individuals to spend more time on their business. Business banker’s provide valuable insight on all the various services available which may fit well with your specific needs. Keep in mind some additional services have fees, so verify the costs and conduct the interview with the financial institution prior to opening an account. If you are a new business owner and seek financing for your venture the banks will require a business plan. This plan outlines how you will support your business and yourself during the launch of your venture. If you do not have or know how to create business plan you may turn to others for assistance. The Small Business Development Center at Lord Fairfax Community College and classes offered through People Inc. are just a few of the local entities which provide assistance in these matters. There are many loan options for business. Banks can offer Lines of Credit, Term Loans, Commercial Mortgages and more. Also most banks offer loans that are supported by the Small Business Administration. When meeting with your banker, make sure that you are prepared to discuss your need not a specific product. The business banker will want to match the loan product to the purpose you have for the loan. One thing to keep in mind, not all banks are the same, so make sure you find one to fit your needs. For more information regarding banking and lending solutions, contact your local bankers to see what solution will work for you. ❖ About the AUTHOR Margie Markahm has 35 years of experience in the banking industry and has served the Warrenton business community for the past 14 years. She is the vice president of commercial lending with Summit Community Bank. For more information visit Summit Community Bank’s website or call (540-347-7779). Call us for an Air Conditioning Service Check-up! All Nikon products include Nikon Inc. USA limited warranty. ©2017 Nikon Inc.
F RESOLUTION SOLUTION PROGRAM A Resolution Solution program will begin in February and will include changing six small actions that should help provide some big results. The six-week program introduces six healthy habits. All new healthy habits should be completed six of the seven days of the week. The six habits include: • 8 ounces more water a day • Add a fruit with lunch or a vegetable with dinner • Turn off electronics one hour before bedtime • Get 10 minutes more cardio exercise each day • No processed foods for one meal a day • Be more mindful for five minutes a day (journal, meditate, breath work) Each participant will scale these habits — easiest to hardest — and add one healthy habit each week. They will build a pyramid of big results by slowing building on small changes. SPECIAL WINTER PROMOTIONS AT THE WELLNESS CENTER The Fauquier Health Wellness Center has a variety of seasonal promotions to help keep you healthy all winter long. For the month of January, new or current Wellness Center members who pay six months up front will receive: • 1/2 off of the joining fee, and • Either one hour of personal training or a free one-hour massage. The bonus can be split into a halfhour of training and a half-hour massage ($60/$56 total value). Before applying for permits, business licenses, etc. it is strongly recommended you give careful thought to several issues, including, but not limited to: What is it you want your business to be? What is your value proposition; what do you have that people will pay for? f you are opening a business in Fauquier County, the very first thing you should do is visit one of the countyâ&#x20AC;&#x2122;s three business incubators; take advantage of the free counseling they offer. The Mason Enterprise Center - Fauquier, is located at 70 Main Street. Renee Younes, the director, will work with you and arrange appointments for you with counselors from the Small Business Development Center, George Mason University, and other helpful agencies. The other two centers are managed by Jennifer Goldman, who spends time at both the Vint Hill and Marshall locations; these are referred to as the Fauquier Enterprise Centers. Both offer free assistance to anyone who lives and/or has a business in Fauquier County. There is paperwork to complete, including business licenses from the County or Town, tax forms, permits and other forms, but the business centers referred to above, as well as the County and Town economic development staff, will help you sort your way through those steps. We may also help you make an informed decision about whether you really want to start a business, or if your concept is viable. How are you financed: savings, family money, investors, loans, mortgages? Do you have a business plan? What is your budget? Have you accounted for all costs? Where do you need to be in order to reach customers and suppliers? What kinds of marketing techniques do you plan to use? How will your business be managed? How will you keep track of your finances? What kinds of insurance do you need and how much will it cost? About the AUTHOR Friedman has been the the Director of Economic Development for Fauquier County since 2013. He has a deep and diverse background in economic development, including consulting, teaching, lobbying and leading a national economic development group in Washington, DC. Friedman and his wife of 41 years, are the proud parents of two grown children, and Miles enjoys spending time with his two young grandsons and two granddaughters. 540.351.0922 or info@rossva.com Charming Old Town Home, Recent Upgrades Contact Rossor Real Estate Today! 540.351.0922 info@rossva.com Price Reduced to $375,000 Contact Ross Real Estate Today! MOSS HOLLOW ROAD 4 bedrooms, 2 full & 2 half baths Offering includes a 6+ acre building lot in FQ Land Use Program. 57.9 acres in VOF Esmt. This finely finished home is perched with a commanding presence to maximize it’s views. An exceptional kitchen in size and finishes flows into the main living and entertainment areas. Nearly 1,900SF of deck and porches. BROADVIEW ACRES Norfolk Drive-Great Split level detached house. LOVELY ONE LEVEL 3 Bedroom 2 Bath Home in Sought After Menlough. 4 BR, 2.5 bath, gas fireplace in FR, DR with vaulted ceiling, wood floors (wood floors also under carpet in bedrooms) granite counters, spacious rec room with entrance from back yard, fenced yard, 2 sheds, french doors open to covered rear porch, paved driveway with parking area, covered patio. Close to shopping, medical, and commuting routes. Open Floor Plan spacious Family Room with Vaulted Ceiling and Gas Fireplace leads to Sun Room and Deck. Kitchen with Breakfast Room. Spacious Owners’ Suite with Walk-In Closets/Bath/Soaking Tub/Shower/Double Vanity, New Carpet, Freshly Painted Throughout, Driveway Sealed. ichael Manfro grew up in Warrenton and attended Fauquier High School. He was an athlete and an excellent baseball player. Michael even played up and down the East Coast and competed in professional baseball tryouts. He always enjoyed being an athlete. Then he went away to college to pursue a career not related to sports, but along the way he found the path to his true vocation. Initially, Michael thought he wanted to be a teacher; by his sophomore year at Greensboro College he realized sitting in a classroom day in and day out was not the type of instruction he envisioned. With the assistance of mentor Dr. DeAnne Brooks, assistant professor of exercise science at Greensboro College, he soon realized that he would still be able to teach, and incorporate his love for performance training into a career – performance training and fitness. Michael was positively influenced by a few other mentors – Dr. Michelle Lesperance and Dr. Brenda Burgess. Above: Manfro at his facility on Main Street. Next page: Manfro training in a small group setting. is one of the nation’s leading cabling contractors and providers of business phone systems and services. any times owners will ask me, “is my pet in pain? Does my dog or cat feel pain like we do?” The answer is a resounding “Yes.” Dogs and cats are very similar to us physiologically. How their muscles, bones, tendons, nerves, etc. respond to pain/stimuli is identical to how people respond. How our pets communicate pain to us is where we differ. Should we treat our pet’s pain? How do I know if my dog or cat is in pain? vocalizing, shivering, shallow breathing, and pupils that appear larger than normal. Dogs in particular may lose their appetite when they are in pain. When dogs and cats are lame (favoring a leg) after running, jumping, rough play, or trauma—this is an indicator that the leg is painful and they are unwilling to use the leg normally. What is the next step once we recognize that our dog or cat is in pain? I recommend that you contact your regular veterinarian if you believe your pet is in pain. There are numerous causes of pain that may be a medical emergency. What ailments can make your dog or cat be in pain? fractures (if your pet is struck by a car it should be seen immediately by a veterinarian), or trauma from chasing a squirrel in the backyard. Gastrointestinal problems can lead to abdominal pain. Ingestion of inappropriate items, liver disease, and pancreatitis can be agonizing, Urinary problems can be painful in dogs and cats. Blockages due to stones in the kidneys, urethra, and ureters can be very uncomfortable. Chronic arthritis is one of the most common types of pain we treat in veterinary medicine. As discussed earlier, our pet’s physiology is very similar to our own so when your dog or cat is diagnosed with arthritis their discomfort is similar to ours. Arthritis can be secondary to an old injury, such as an old fracture or from a ligament tear, hip dysplasia, or degeneration due to age. Yes, we should always make an effort to treat our pet’s pain. The research is conclusive that pain, especially if it is experienced over a long period of time, can actually be hazardous to a dog’s or cat’s health. The reason is that pain is a stressor and the body begins to release a set of stress-related hormones in response to that stress. These affect virtually every system in the body. They alter the rate of metabolism, cause neurological responses, and cause the heart, thymus glands, adrenal glands and immune system to go into a high state of activity. If this situation continues long enough some organs may become dysfunctional. In addition, the tension that the state of pain-related stress induces can decrease the animal's appetite, cause muscle fatigue and tissue breakdown, and also rob the dog or cat of essential healing sleep. The stress that the pain causes can prevent our pets from healing. How do we treat our pet’s pain? It is our goal to treat our pets appropriately for their specific diagnosed problem. With the known diagnosis, we can customize our pain management plan. Not all of the following pain medications may be beneficial for your pet, so please ask your veterinarian what is appropriate. All pain medication should be prescribed by your veterinarian—do not use your own pain medication to treat your dog or cat. It is important to treat the underlying cause of pain to help your pet improve. Dr. Morris is the director of the Surgery Division of the Veterinary Referral Center of Northern Virginia in Manassas and the owner of the practice. His experiences while working at the Audubon Zoo as a student reinforced his enthusiasm for a career in veterinary medicine. He graduated from Tufts University School of Veterinary Medicine, and then completed a one-year Small Animal Surgery/Medicine/Emergency Internship at the Darien Animal Hospital in Darien Connecticut and a three-year surgical residency at the University of Minnesota Veterinary Teaching Hospital where he was trained in orthopedic, neurological, and soft tissue surgeries. He has special interests in cranial cruciate injuries, thoracic surgery, and juvenile hip dysplasia. Dr. Morris can be reached at 703.361.0710, ext. 3 or drmorris@vrc-nova.com. We would like to wish everyone a healthy and prosperous New Year! We can’t wait to see what this year holds. Whether buying a new home or selling your existing home we will be there to help you with every step of the process. Now is the time to start thinking about the Spring Market! Call us today for a free market analysis. We also will let you know what, if anything, needs to be done to have your house market ready. hen you look at a men’s or women’s fitness magazine with ”the Rock” or Heidi Klum on the cover do you find yourself wishing and dreaming you could look like that too? What about your Facebook feed with the 25 year-old ripped fitness models doing chin-ups easier than you can get out of bed in the morning? I must confess that I wish I had that muscular, chiseled look that has made Dwayne Johnson a household name. But I also realize that although I can improve my current physique, it’s not possible for me to be built exactly like another human being. We all have DNA that is specific to us. I want you to see yourself as an individual and not compare yourself to models, media stars or your really fit friends. Let me be clear, it’s good, and necessary, to have goals. But often times, the goals we set are unobtainable, and when left unmet result in a sense of failure. The intent of this article is to encourage a mindset change towards setting goals. S.M.A.R.T. One of the best tools that I have used when creating goals with new clients is the S.M.A.R.T. approach. The acronym stands for Specific, Measurable, Accountable, Realistic, and Timeframe specific. Let’s go through these one at a time and I’ll explain how they can relate to you, and specifically attaining your goals. people come to us wanting to lose weight. I ask, what do you weigh now? “I don’t know,” they say; they’re afraid of the scale. Most people think they want to lose weight but what they are actually looking for is fat loss. Both weight loss and fat loss are specific goals, and they are measurable. The other specific way to set goals is around reductions in dress size or pant size. Before we set goals we MUST measure! And what’s awesome about this is we now have an extremely accurate way to measure fat composition with a Bioelectrical Impedance Analysis (BIA) – a medical grade, non-invasive technology that measures body fat, lean muscle, and water in less than a minute. By using your BIA, we can set specific percent body fat loss as a goal. If you don’t know where you are trying to go, how will you know when you’ve reached your destination? each workout, or simply announcing your goal to your friends, family, and co-workers. We always suggest that you take the time to not only write down your goals and put them up where you can see them several times per day, but to also write down your “why.” What are the reasons you want to lose weight? Those reasons serve as huge motivators when the going gets tough. I mentioned previously, set goals that are realistic and achievable. Take into consideration your height and body type, your family history, and your past mentality towards training and eating correctly. Once a client said to me “I’ve never worked out, but I want to go six days per week starting January 1.” I replied, “Well, let’s get started with two times per week and work towards the six,” which is a more realistic goal. Break your goals down into eight-week or twelve-week mini goals. If your goal is to lose 30 pounds by the end of the year, start with losing 10 pounds by March 30. Better yet, how about losing five percent of body fat by March 30? Linda McGuire checks off her accountability chart at Next Level Fitness. TIPS TO HELP YOU REACH YOUR 2018 FITNESS GOALS • Consistency is key. Whether it’s trips to the gym or nutritional habits, nothing beats consistency. • Find a coach. You’ll need accountability, exercise and injury recovery knowledge, food prep skills, and encouragement. Once you have the right coach everything starts to fall into place. • Attitude overcomes a lot of failures. Get up. Show up. Do your best. • Track your progress. Use a calendar, a Fitbit, check in with your coach, or even make a simple check mark on a spreadsheet on your desk at work. • Start now! There is no better time than the present. No one knows when that health scare is coming. Make a decision to do it and get started. misunderstanding between you? There’s nothing new about the comments people make about “how kids these days” are different from previous generations. In fact, grown-ups have been saying this since ancient times. Plato is attributed with the following: “The children now love luxury; they have bad manners, contempt for authority; they show disrespect for elders and love chatter in place of exercise.” Still, today’s young adults seem unique in almost every aspect. Millennials are digital natives. They have grown up online and plugged in. A millennial would prefer to text or message someone whereas other generations would prefer face to face communication. While it’s clear to everyone technology has changed the way we connect and communicate, we must continue to make an effort to bridge those gaps. The first step is to understand each generation values different things – not better or worse. As children, this generation was told they were to be “seen and not heard”, thus earning the title, the silent generation. They grew up during the Great Depression and World War II and many fought during the Korean War. They rarely focused on how to change the system, but rather how to work within the system and valued stability, safety and commitment. Warrenton’s Best Kept Secret! ett! Warrenton’s Best Kept Secret! ett! John Barton Payne Bldg. John Barton PayneWarrenton Bldg. 2 Courthouse Square, 210Courthouse am—5 pm, Square, Friday &Warrenton Saturday 10 am—5 pm, Friday & (540) 341-3447Saturday (540) We accept cash and 341-3447 checks; no credit cards. We accept cash and checks; no credit cards. All sale proceeds benefit the Fauquier County Public Library. All sale proceeds benefit the Fauquier County Public Library. what’s Our weekly guide for FUN!